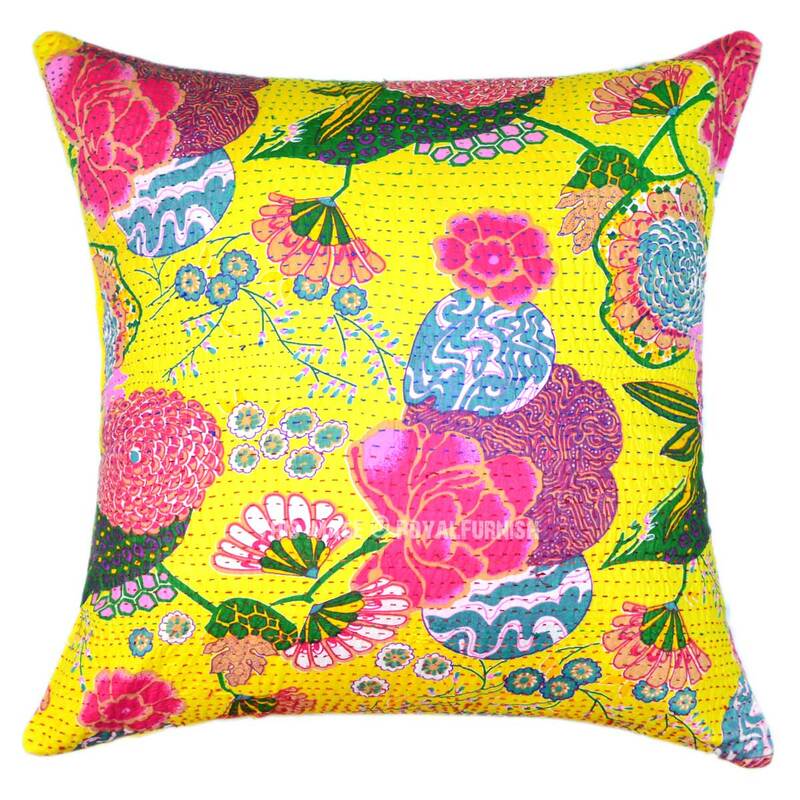 Decor home space with vibrant floral designed kantha throw pillow which can transform an entire room's interior. 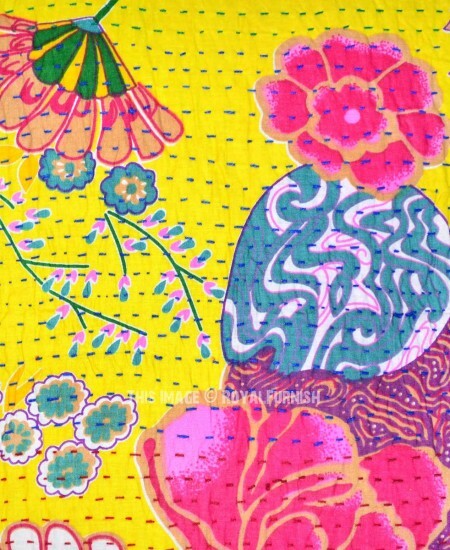 It is made with straight hand stitching kantha work on cotton fabric which delivers bold color statement. 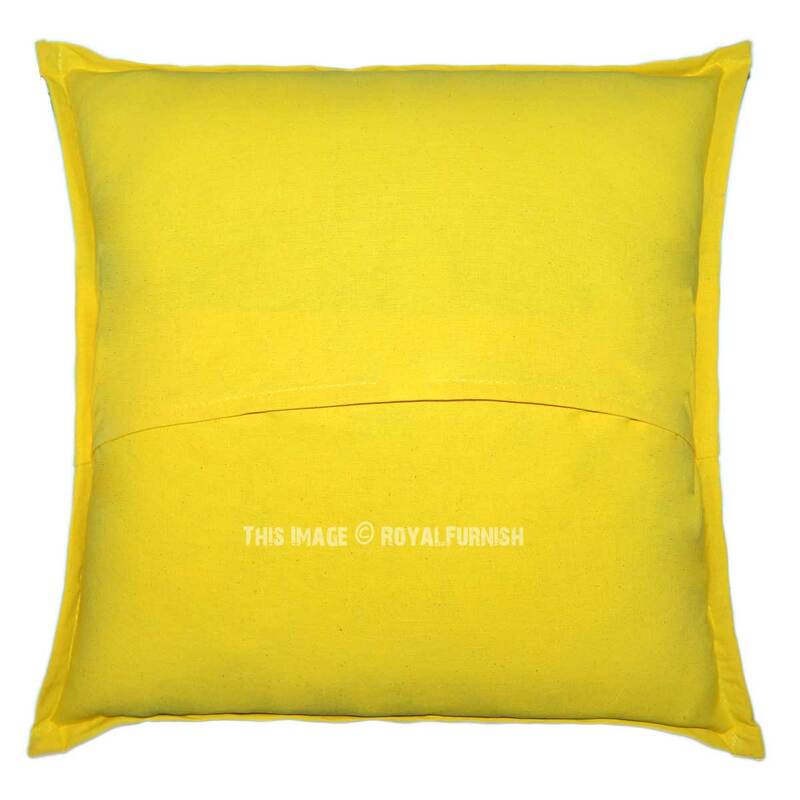 It is made in India (rural area) from beginning to end. 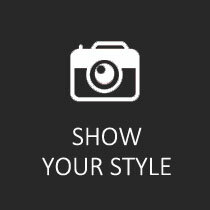 It comes into different colors, designs and type. 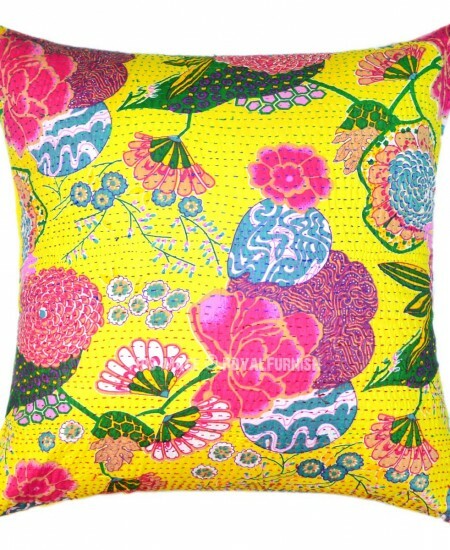 This kantha pillow features multicolor floral theme. Note: Due to nature of handicraft, one item may be slightly different from one to next. 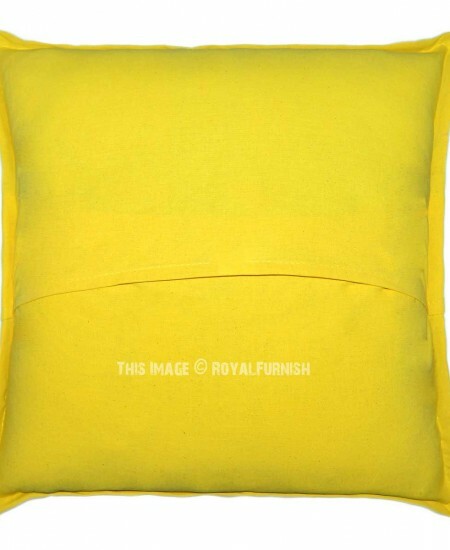 Inserted Cushion is not part of sell. 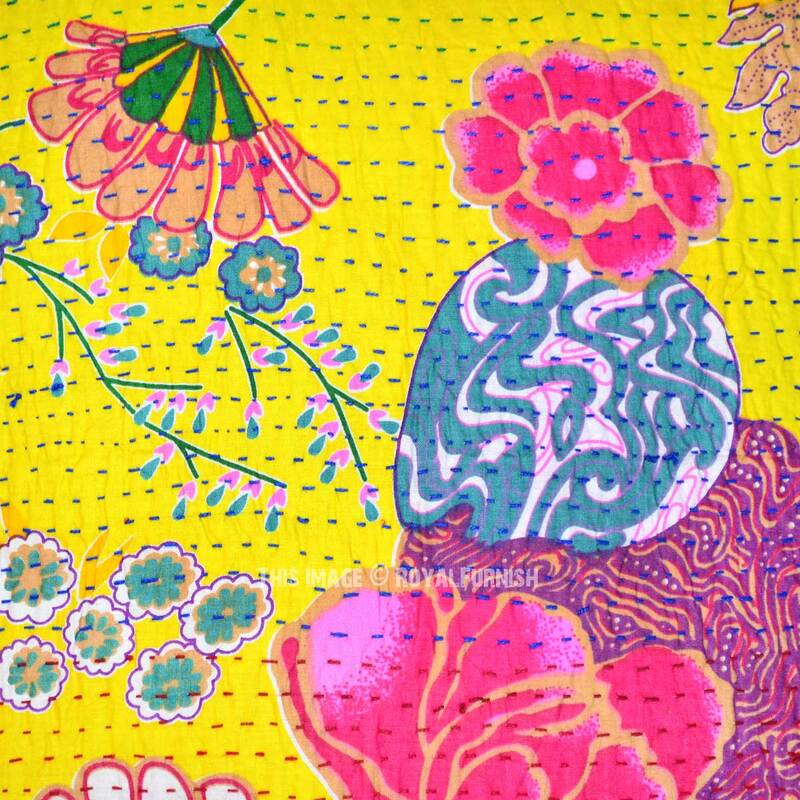 24X24 Yellow Indian Floral Kantha Throw Pillow For Sofa & Couch added to the cart!